We have long maintained a high profile in Baltic Sea research. Marine biology is a research-intensive subject with a strong international orientation. Since June 2017, The Sea has been one of our four focal areas in research. The profile area is a collaborative effort with the University of Turku. The research has a particular focus on marine biology, regulation and other steering mechanisms as well as maritime logistics and trade, with the Baltic Sea serving as a global model. Within the cross-disciplinary entity, researchers collaborate in environmental and marine biology, public administration and the industrial economy. The overall objective of The Sea is to establish a world-leading marine Centre of Excellence with a focus on the Baltic Sea and the Nordic maritime areas, including Arctic marine ecosystems. Special focus is given to the following: marine ecology development in coastal regions in relation to an ever-changing environment; analysis and evaluation of the impact that political and administrative institutions has on the Baltic Sea region; development and implementation of sustainable, large-scale infrastructure systems, especially in the transport and energy sectors; and multidisciplinary expert advice for society, decision-makers, national and international advisory bodies, NGOs and the business sector. Is the Baltic Sea damaged for good? 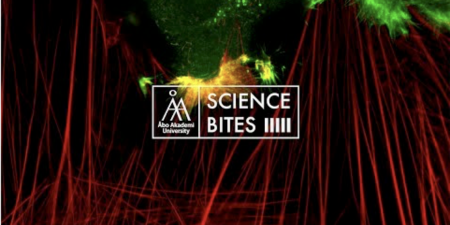 Hear researcher Marie Nordström's answer in this Science Bites video on ÅAU's YouTube channel.